The New Delhi railway station has got a facelift and is modernized for the Commonwealth Games 2010. The fully air conditioned revamped station has now a world class facility spread over an area of 250 acres. The station is built on the lines of the New York Central station and matches with Connaught Place looks with an investment to the tune of Rs. 25 crore. Northern Railways, Ministry of Railways has set an excellent example of user-service provider partnership. Samarthyam, National Centre for Accessible Environments access audited the New Delhi Railway station in 2007 and presented report recommendations to DRM, Delhi Division and Chief Engineer (Construction), Northern Railways. Accessible design standards and users perspective was incorporated in the blue prints of New Delhi railway station. In 2008, Samarthyam was invited by Deputy Engineer (Construction), Northern Railways to vat the blue prints and revise the drawings in light of user-friendly facilities for persons with diverse disabilities and reduced mobility. Samarthyam's Access Resource Group provided technical know how of engineering configuration of tactile tiles for persons with vision impairment; entrance ramp and handrails; reserved lowered ticket counter and drinking water unit; layout and internal design of accessible washrooms and bathing area along with Braille and pictogram signages for all facilities. The three storey complex also has provision of lifts to connect all the floors, there by making it easier and comfortable to be used by persons with disabilities and senior citizens. Samarthyam has also vetted the plans of Anand Vihar Railway station in East Delhi, wherein construction is in full swing. Universal design standards have been provided in the station from the planning stage itself by Engineers of Northern Railways in consultation with Samarthyam. Samarthyam has also designed the washroom and bathroom accessories and signages for both of these stations including Nizamuddin station. Indian Railways for the first time has also introduced passenger ferry vehicle which is accessible for persons with reduced mobility. Samarthyam is working with Indian Railways to design a lift for lifting wheelchair passengers from platform to coach. How many theme parks can you name? Disneyland, Six Flags, Marine World, and Great America are some better-known US theme parks. Tivoli in Denmark, Huis Ten Bosch in Japan, and GRS Fantasy Park in Mysore, India might turn up on your list if you are a theme park connoisseur. Cadbury World, Hershey Park and Hershey World might also come to mind if chocolate is your passion. Now, turn the question around. How do those theme parks name you? That is, who are you allowed to be once you enter the magic of a theme park? What is a theme park? It is first a park. Extent and boundaries define a park. A park occupies space in a particular location. Unlike a nomadic circus or a traveling carnival it has permanence of place. We go to a park. A park is a physical space that can be marked. Parks create frontiers -- the contrast between "inside" and "outside." The frontier is also a psychological and social space, as anyone who lives near a national border, knows. Reality changes somehow when we cross a frontier or when we pass into a park. The tension between inside and outside creates anticipation for the traveler - a spirit of pilgrimage that can only be satisfied by arrival at the goal. For the traveler with a disability arrival may not be easy - and it is most likely only the start of new kind of tension. This fact is captured in the title of the very first study in English on the travel behavior of consumers with disabilities. The article, "From Anxiety to Access" by Simon Darcy of Australia, launched the field of inclusive travel as a topic for academic study in the English-speaking world. Simon revealed to the travel industry what those of us with disabilities who travel want as consumers. We want exactly the same thing that other travelers want! That is not a difficult concept - "exactly the same thing." As visitors to a theme park we want to be "inside." We want the magic to work on us. The psychological-social definition of "inside" changes depending on the type of park. So, let's consider the varieties of park - park typology. One type of park may be offer nothing more than the features of its location. Another type of park may exist to preserve a place that is entirely manmade because of its historical or cultural purpose. In this sort of park observation is secondary to preservation. In fact, entry into some buildings may be entirely prohibited - or the preserved architectural features, such as stairways for example, may make entry difficult or impossible for someone with a mobility disability. A third type of park may obliterate the original local features that were either built or natural. This is often the strategy taken by theme parks. Theme parks create a coherent artificial space. By doing so theme parks acquire a degree of ethical responsibility not shared by the previous types of park. Theme parks have a responsibility to be 100% accessible. Why? Because they can be 100% accessible in the way that the natural environment of a national park or the historically authentic environment of an enclave of the past cannot. Theme parks have a responsibility to be accessible because of the definitions of disability and of discrimination. Some individuals carry a certain deficit in capacity. In English we call the lack of capacity a "disability." Some modifications change the environment making it usable only to those with that capacity. To build a system, building, product, or ideology that does not allow for the participation of persons with differing capacities is to discriminate, to isolate, to leave "outside." We call the lack of access through design "a handicap." A handicap is a socially constructed reality that prevents social participation on the basis of difference in capacity. Medicine may have something to say about improving capacity. Universal Design is the solution to the lack of access. Universal Design starts with the fundamental assertion that people with disabilities are consumers. Universal Design is about engineering the full inclusion of the widest range of consumers - offering them appropriate choices in the marketplace and the dignity of participation. In the end, the meaning of inclusion is social participation. Social participation is the second psychological meaning of "inside." A theme park that "names" a visitor as anything but a full participant in every activity that it offers names the visitor an "outsider." It breaks the magic. Theme parks tell a story. Their magic comes from allowing visitors to participate in their story. The measure of theme park accessibility is not simply physical accommodation for those with ambulatory disabilities; Braille signage for the blind; or auditory amplification for the deaf. The park must arrange all those things toward the goal of full participation by carriers of those differences in capacity; those disabilities. The architecture, the paths, the music, the signs, the staff and the returning visitors all work together to teach the visitor how to be an actor "inside" the theme park. The key question is, do all those elements work together to allow visitors of every degree of capacity to play every available role in the theme park story? Can a child with a developmental disability be the protagonist? The princess? The clown? Can the visitor with a mobility impairment be he adventurer conquering ride after ride? Facing wild animals like a hero? Can the person who does not take in information visually or auditorially find their stage cues as they play out the park's fantasy? The next time you visit a theme park - or build one - think beyond the minimum requirements set out by the Americans with Disabilities Act in the US or the relevant building and safety codes in your country. Imagineer an environment where the differences in capacity between children and seniors are bridged. Stage a world where those with disabilities and those enjoying those temporary phases of life where they are not experiencing one can recreate side by side. Name yourself as hero. Bring home a memento of a place that still might only exist in fantasy - but can still come true by design if the story escapes. One of New Delhi's foremost promoters of Inclusive Tourism, AccessAbility, will be featured tonight at 7:30 pm on Starting Up. The video will be available on their YouTube Channel tomorrow. Starting Up captures the spirit of the Indian Start-up Community - it features the different elements of the startup ecosystem and profiles the journey of the most innovative Indian startups. Showcase: Profiling a startup. The highs and lows, the challenges, the story so far - with views from customers and other members of the supply chain. Capital Ideas: Showcasing investors and the forms of raising capital. Profiling venture capitalists, firms that offer debt and social Funding. Toolkit: Advice and Q&A's for startups. How does a firm register itself? How does it cut costs? How does it outsource recruiting? What to look out for in the term sheet and more. Elevator Pitch: Opportunity for a startup to pitch its business plan on national television and get feedback from an investor. The release of Gordon Rattray's excellent book, "Access Africa"
After founding one of the biggest successes in Silicon Valley history Omidyar bucked the serial entrepreneur trend and turned to angel investing and do-gooding. At the conference he announced another big move: His philanthropic investment firm, The Omidyar Network, is committing $30 million towards backing high-impact entrepreneurs in emerging markets, specifically Sub-Saharan Africa and India. It's an interesting fill-the-gap strategy between mainstream venture capitalists looking to benefit from the emerging world's booming demographics but frequently stymied by cultural and logistical challenges and micro-loans, which the Omidyar Network has already done a good deal of in these regions. 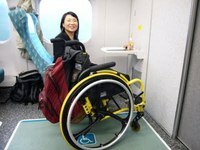 From ikbenamy-projects.blogspot.com/ comes a literal insider's view of riding a high speed train in a wheelchair. A survey released earlier this month by the National Association of Home Builders shows that baby boomers consider themselves high-tech, not high maintenance. If they are buying a new home, boomers want it to include high-speed Internet access, but most don't consider "universal design" - that is the design of the house to accommodate handicaps or disabilities - a priority. They would, however, like to have a first-floor master bedroom, or a home on one floor. In fact more than 70 percent want one-floor living. And most would like to live in the suburbs or rural areas. Rosemarie Rossetti and her husband, Mark Leder, broke ground yesterday on a new house and a new way of life. The 3,500-square-foot home outside Gahanna will serve not only as the couple's residence but also as a "universal design living laboratory," showcasing the latest features in handicapped-accessible homes. "I want it to be a catalyst for change in the building industry," said Rossetti, a motivational speaker and writer. Jane Austen may have probed the subtleties of this Boomer Generation script of maturing into good choices in her novel "Sense and Sensibility." 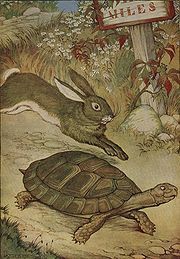 Apparently, if surveys are to be trusted, every generation still needs its troupe to act out the simpler fable of Trang web cá cược trực tuyến"The Tortoise and the Hare." Rosemarie and Mark on behalf of a generation where some still need a "show me" project to grasp the personal implications of Universal Design as a social revolution, here's an anticipatory "Thank you. Keep on truckin'..."
"Arte, Design, Cultura e Deficiência Visual." A longstanding desire of mine has been to bring together a variety of articles that address tourism and people with disabilities allowing a fuller discussion of the subject in academic circles now that many professors have contracts to develop activities in some regions. To do so I am looking for authors who are interested in writing on the theme, with preference for experiences in other countries [ i.e. outside Brazil] also, to result in a complete book. Tirolesa, mergulho e surfe s?o atividades que podem ser praticadas por qualquer pessoa, desde que sejam observados os devidos cuidados e procedimentos de seguran?a. é o que mostra Edison Passafaro, cadeirante desde 1980 e coordenador do Comitê de Acessibilidade da Brazilian Adventure Society. Mergulhador há vinte anos, ele pratica vários esportes. "Minha primeira grande aventura aconteceu em 1991, quando participei de uma expedi? ?o de mergulho com o oceanógrafo Jacques Cousteau. Também já voei de bal?o, fiz rafting no Nepal, saltei de pára-quedas e passei por várias outras aventuras. No Brasil, já estive em Bonito, onde fiz rapel e mergulho". Na semana do Dia Nacional de Luta das Pessoas com Deficiência, o coordenador lembra aos empresários do turismo que acessibilidade hoje é garantida por lei Federal. "N?o é apenas uma quest?o de boa vontade. Pela legisla? ?o atual, para ter alvará de funcionamento um estabelecimento precisa ser um ambiente acessível". Passafaro se refere à Lei no 10.098, de 19 de dezembro de 2000, que estabelece normas gerais e critérios básicos para a promo? ?o da acessibilidade das pessoas portadoras de deficiência ou com mobilidade reduzida. Edson diz, ainda, que os empresários brasileiros podem transformar a obriga? ?o jurídica num grande nicho de mercado. Segundo o Censo 2000, do IBGE, existem no Brasil 24,6 milh?es de pessoas com algum tipo de deficiência ou incapacidade, o que representa 14,5% da popula? ?o brasileira. Para o coordenador, "o empresário inteligente é aquele que entende que n?o terá custos para adaptar o local, mas, na verdade, irá investir para absorver um mercado com milhares de pessoas que podem consumir e praticar atividades de turismo de aventura, de lazer ou de ecoturismo. A Estancia Hidromineral de Socorro, em S?o Paulo, é destino referência no segmento. Desenvolvido em parceria com o Ministério do Turismo (MTur), o projeto Socorro Acessível está adequando acessos e atividades da cidade, bem como a rede hoteleira e os estabelecimentos comerciais. Em maio deste ano, o município foi declarado oficialmente como destino-modelo em Aventura Especial no Brasil. 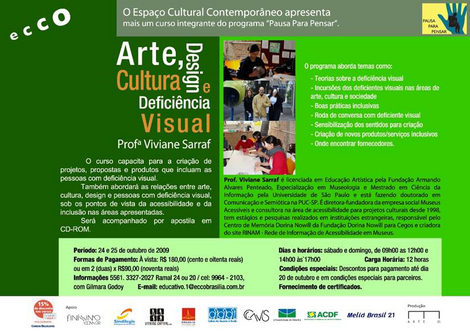 De 2006 a 2008, o projeto "Socorro Acessível" aplicou, no município, R$ 1,73 milh?o em obras de infraestrutura turística, cursos de qualifica? ?o profissional para o atendimento a turistas portadores de deficiências físicas e/ou motoras, além de adapta? ?es em passeios, equipamentos e edifica? ?es públicas, de acordo com a norma brasileira de acessibilidade no 9050/2004 da ABNT (Associa? ?o Brasileira de Normas Técnicas). Para a Coordenadora Geral de Segmenta? ?o do MTur, Sáskia Lima, a cidade paulista deve servir de exemplo para o País. "Socorro n?o é apenas um destino preparado para receber pessoas com deficiência. As adapta? ?es realizadas no município, por seus gestores públicos e empresários, torna a cidade um destino acessível para pessoas de todas as idades e necessidades, quer sejam idosos ou crian?as", afirma. O Ministério do Turismo, por meio da Coordena? ?o Geral de Segmenta? ?o, desenvolveu em 2006 um Manual de Orienta? ?es sobre turismo e acessibilidade. Esse documento reúne as principais leis, decretos, portarias e normas técnicas relacionados ao tema. Acesse aqui as publica? ?es do MTur disponíveis. eTN has picked up on story about Sally O'Neill's campaign for inclusion in air travel. Sally O'Neill is a 17-year-old girl with cerebral palsy, and all she wants when she flies is to be able to remain in her own wheelchair. Sally is circulating a petition calling on the airline industry to modify the first seat in the first row to allow passengers with disabilities using wheelchairs to remain in their own wheelchairs during flight. "After consulting with numerous professionals with disabilities having expertise in accessibility and safety standards, we determined that the 'O'Neill petition' was an important initiative to support," said Brandon M. Macsata, executive director of the Association for Airline Passenger Rights. "Forcing people with disabilities to travel using non-disabled standards when safe alternatives are available is not consistent with the principles laid out in the ADA [Americans Disability Act]." entrance, whether there is a hearing loop and how wide the door to the room is,"
explains the hotel chain's Disability Ambassador Magnus Berglund. It is around five years since Scandic started actively tackling accessibility issues, and since then there has been a positive increase in the number of guests with disabilities... "People with disabilities travel much more widely nowadays. A few years ago, it could be difficult filling the hotel's disability rooms on weekdays, but now they are fully booked practically every day," states Frank Fiskers, President and CEO of Scandic. A wonderful testimony to the power of compassion-infused imagination on the part of a single member of the Disability Community - Oregonian Arwen Bird - as she reflects on the core value of our community -- interdependence. Last Winter holiday I boarded an excursion train with my family and was forced off because the organizers wouldn't take "wheelchairs." Instead of pursuing legal or traditional advocacy strategies to redress the harms of that day--which are often so adversarial that the people responsible for harm turn off their sense of compassion for the people they have hurt--I wanted to spend energy in ways that are intended to be healing for me, and for everyone who witnesses this story. After much thought I chose to write and produce a digital story. The story, Thrown From the Holiday Train, is FINALLY ready to be shared with all of you! Through sharing my story, I hope to help people watching connect with their WILL to help people with disabilities be with their families. I believe that if we stay connected to this sense of will, that the logistics of building ramps, lifts, etc. flow easily from this deeper desire to help people be with the ones they love. It's amazing what can happen when our will and sense of compassion are engaged. For my next project, I am considering focusing on how the incident affected my nephew and our relationship. After witnessing the event, my nephew (who was three at the time) began to experiment with discriminating and separating me from my family because of my use of a wheelchair, reflecting what the adults around him were modeling. Although being 'thrown' from the train was emotionally painful for me, it was seeing the ways it had affected him that inspired me to act. After you watch this one, please let me know if the next chapter a story you want to hear and watch! Receiving the following press release from United Cerebral Palsy I went straight to the Tips on Traveling with a Disabled Child section. Basic, sensible guidelines for a new parent. Washington, D.C. (September 23, 2009) - United Cerebral Palsy (UCP), today announced the launch of My Child Without Limits (MyChildWithoutLimits.org), UCP's pioneering initiative that provides parents of children with disabilities an online resource with critical information that also connects parents to a vital social network of parents of newly diagnosed children ages 0 to 5. The first realization that your child is going to face the many challenges and obstacles encountered by those who live with a developmental delay or disability can be a lonely, frightening and confusing time. Many parents who have been assisted by UCP have reported that finding the organization and receiving the information and advice our affiliates provide has been a very significant turning point for them. My Child Without Limits is a place for parents worried that their child is not developing like other children, to find answers to their questions. It is a place where parents know they are not alone after their child has been diagnosed with a developmental delay or disability. The authoritative site and online community are designed to be resources for families and their caregivers and professionals. * Understand - Help families answer the questions: What are Autism Spectrum Disorder, Cerebral Palsy and Down Syndrome? * Plan - Provide guidance about where to go for early intervention services, treatments and therapies, assistive technologies, and expert direction and advice. * Act - Direct parents and caregivers to where they can explore issues surrounding disability awareness, advocacy and lifespan planning. The community section of My Child Without Limits also offers a venue for parents to communicate with each other, ask questions of professionals and service providers, and receive support through the critical period of initial diagnosis. "I can't think of a better way to reach parents of children with disabilities who are so desperately seeking credible information they can trust," said Stephen Bennett, President & CEO, United Cerebral Palsy, Inc. "My Child Without Limits will be the one-stop shop for parents and professionals, and help children with disabilities start achieving a life without limits at an early age." For more information, please visit www.mychildwithoutlimits.org today. United Cerebral Palsy (UCP) was founded over 60 years ago by parents of children with cerebral palsy. Today UCP is a leading service provider for adults and children with disabilities. UCP's services reach over 176,000 adults and children every day through a network of over 100 affiliates in the United States, Canada, Scotland and Australia. The UCP National office, located in Washington DC, provides assistance to affiliates through marketing and communication services, programmatic support and an annual conference. UCP National also serves people with disabilities and their families through public policy and advocacy, the development of forward-thinking programs and the Life Without Limits initiative. Former Springbok rugby star André Venter and Ari Seirlis, national director of the QuadPara Association of South Africa (QASA), are among 400 off-road bikers set to tackle the gruelling 1,000 km, four-day Quads 4 Quads challenge this week. Ari Seirlis, a quadriplegic as well as a tireless campaigner for disability rights, will ride his adapted Yamaha 700 quad bike on the epic adventure, which kicks off on 24 September. André Venter, a paraplegic due to a spinal condition, will also take part on his sponsored Yamaha Grizzley quad bike, flanked by his good friend and fellow former Springbok player Wahl Bartmann. Together, Seirlis and Venter will prove that nothing is impossible - that wheelchair users can be just as tough and determined as the other brave riders taking part. 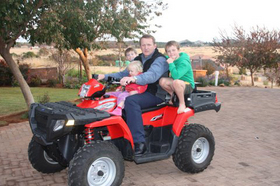 The annual Quads 4 Quads race, brainchild of Family Adventures six years ago and aimed primarily at raising funds for QASA, involves a 1,000 km round trip from Carnival City, Johannesburg, to the coastal town of Ballito north of Durban. Riders can use any make or configuration of off-road motorcycle to traverse the difficult terrain, which involves passing over mountains and rivers and through much dust and dirt. The race takes place over just four days - meaning 250 km per day, or 6-8 hours in the saddle. "I never thought it would be possible to be pushed to my physical limits as a quadriplegic," says Ari Seirlis. "This is an incredible experience, testing my resilience, testing my energy, testing my concentration, testing my agility. Not only does this event raise much-needed revenue to support QASA's work with the paraplegics and quadriplegics of South Africa, but it allows our members to dream of doing something adventurous and active, free from their wheelchairs and the constraints of our society." The event, now the largest of its kind in the world, has so far raised around R3 million in charity funds. Corporate bodies are supporting the race in various ways, including Pick 'n Pay, who have ensured that soccer balls and school stationary sets are distributed to the rural communities along the route. Ashley Lyn Olson is a new name in the area of Inclusive Tourism but she is positioning herself to make a big impact. Check out her site WheelchairTraveling.com and welcome her to the community promoting inclusion in travel! WheelchairTraveling.com gives travel tips and information from the unique perspective of someone in a wheelchair, with the goal of making travel accessible to other wheelchair users, and creating a vibrant online community where wheelchair travelers can share tips and ideas. This groundbreaking site is now expanding to include international destinations. With reviews for more than 20 wheelchair-friendly destinations within the U.S., WHEELCHAIRTRAVELING.COM is excited to announce its first international destination - Berlin, Germany. Germany's largest and capital city, Berlin is a fascinating metropolis where the scars of a tumultuous history still show through its energetic modern facelift. Berlin's wealth of cultural treasures has something to interest most everyone, and is largely accessible to the wheelchair traveler. Its excellent and easy-to-use public transportation system makes it easy to reach the city's highlights. For history buffs, highlights include the iconic Berlin Wall, Brandenburg Gate, and Checkpoint Charlie. Art lovers will delight in the 153 museums of Berlin, including the UNESCO World Heritage Site, Museum Island, a "district dedicated to art and antiquities." For those looking to partake in Berlin's famed nightlife, the rumors are true, but your best bet is to consult a local magazine, or better yet a local person, because the scene changes so rapidly, any tips given here will be "so last week." Wheelchair friendly sites visited and reviewed include the Berliner Philharmoniker, the Aus der Sammlung Berggruen art museum, the Bundestag Allemand, the Berliner Dom protestant church, the world famous Berlin Zoo, and of course, the Berlin Wall. For accessible lodging, the Domicil Hotel stood out as exceptionally wheelchair friendly, complete with a roll-in shower with a hand-held nozzle. Located near the local train station and the S Bahn and U Bahn metro lines (at the Zoological Gardens stop), it provided convenient access to Berlin's wonderful public transportation. The great customer service and delicious complimentary German breakfast didn't hurt either. Wheelchairtraveling.com Founder, Ashley Olson, says the site, "plans to continue to expand its international destination reviews, increasing the number of destinations that wheelchair travelers can feel confident in exploring." Consultants on the accessibility of the various World Cup stadia throughout South Africa have been sending in photo documentation on progress. Below are two slide shows. We look forward to the time when teams in Brazil begin to report on FIFA 2014 preparation. What might a visitor to the United States learn about the country's attitudes on people with disabilities by attending Town Hall meetings on health care? author's self-exploration helps the reader pursue their own self-exploration. the authority to judge anyone?'" her way and knows that no matter what, she will be content and successful. attend Ramapo College of New Jersey where she attained a BA in Psychology. received post-master credits at Temple University. travel places where she can experience different cultures and events. Studies minor, and is on the board of the Society of Disability Studies. La Fundación ONCE recordó la importancia de la accesibilidad universal para garantizar la igualdad de oportunidades en la educación, para lo que pidió que se incluya el concepto de dise?o universal en todos los programas que incluyan la movilidad. Así lo manifestó el director de Accesibilidad Universal de la Fundación ONCE, Jesús Hernández, durante su intervención en el acto de inauguración de la 21 'Annual Conference EAIE' que, co-patrocinada por la Fundación ONCE, se celebra en Madrid hasta ma?ana sábado 19 de septiembre. En su intervención, Hernández se?aló que "la posibilidad de estar o no estar es lo que hace posible que una persona sea o no ciudadano, es decir, que sea usuario con los mismos derechos que el resto de la sociedad". Así, insistió en que hay que preguntarse "si la universidad cumple con los principios de accesibilidad o si se ha excluido a una parte importante de la sociedad". Además, aseguró que durante a?os, "los estudiantes con discapacidad han tenido grandes dificultades a la hora de beneficiarse de las mismas oportunidades que el resto de los estudiantes". Como consecuencia, "estas dificultades, que incluyen la movilidad internacional y la posibilidad de estudiar fuera del lugar de residencia, han provocado que los estudiantes con discapacidad sean menos competitivos en términos de educación y especialmente en segundos idiomas", concluyó. We are writing to request your assistance with regards to a research carried out and funded by the University of Surrey, UK, regarding on-line accessible destination information. The purpose of the study is to investigate the type of information people with disabilities expect to find on-line, and how this information should be presented. We would kindly request to forward the survey link to your registered members. The survey will take approximately 15 minutes to complete and the responses will be treated in strictest confidence. The study has been reviewed and was given a favourable ethical opinion by the University of Surrey Ethics Committee. We hope that you are willing and able to cooperate and to express our gratitude we will be happy to send you a report of the findings at the end of the project. We would be more than happy to provide any additional information. FT LAUDERDALE, FL - Special Needs at Sea, a global provider of special needs equipment for travelers and the travel industry, was honored as winner of the "Onboard Supplier of the Year" Award at the third annual Seatrade Insider Awards held in Hamburg, Germany on September 15; part of Seatrade Europe 2009. "The high caliber of the Seatrade organization and strength of all the nominees make this award even more significant for us," says Andrew Garnett, founder and president of Special Needs at Sea. "Additionally, it underscores the importance to the industry of what we provide and validates our commitment to accessible cruising." Special Needs at Sea, a Special Needs Group Inc. company, provides cruise passengers and cruise ships with a broad range of special needs equipment for purchase and rental, including wheelchairs, scooters and powerchairs with capabilities to support 500 pounds or more; oxygen in all its forms; hearing impaired equipment, Braille printing, baby cribs and more. The company delivers the needed equipment directly to the passenger's stateroom at cruise ship ports around the world, and is currently testing a pier-side kiosk program in Fort Lauderdale and Seattle for self pick-up of wheelchair rentals and scooter rentals. Earlier this year, Special Needs at Sea became the first accessibility preferred partner benefits supplier for the Cruise Line Industry Association (CLIA), the world's largest cruise line association, and is a sponsor of SATH, the Society for Accessible Travel and Hospitality. Special Needs at Sea is a Preferred Mobility and Oxygen Supplier of Holland America Line and Royal Caribbean and also services the other major lines including Princess, Crystal, Celebrity, Carnival, Disney, Costa and others. The Seatrade Insider Awards presentation, a yearly highlight of Seatrade Europe, was held at the Schmidts Tivoli Theatre in Hamburg. Fidelio Cruise was a principle sponsor of the awards. Judging for the awards is by a select panel of industry executives, members of Seatrade Insider's global editorial team, cruise consultants, analysts and industry experts from around the world. Special Needs Group, Inc. (www.specialneedsgroup.com) is a one-stop resource for special needs travel around the world. We offer a broad range of special needs equipment including wheelchair, powerchair and scooter rentals with capabilities to support 500 pounds or more; oxygen rentals (liquid, cylinder, and concentrator); hearing impaired equipment, Braille printing, baby cribs and more. Recommended by the world's major cruise lines and hotels for superior service and value, we also provide consultation services regarding special needs policy and new-build design. Special Needs Group, a U.S. company, is not a travel agency and does not compete in any way with travel agents. Film Festival on Disability - Film Entries Wanted! different from what? Film Festival will hold its premiere at the MADCAP Theaters in Tempe, AZ, during January 29-31, 2010. The Festival will feature productions that display a wide breadth of perspectives on disability as a life experience, an identity, and a social and political construct. The Festival is a student-led initiative organized in collaboration with the Equity Alliance at Arizona State University, an organization providing services that support learning around equity, access, and participation. Current submission deadline: October 25, 2009 - please check website for details. This festival explores the expression and construction of ability, disability, and identity from multiple perspectives. In what ways do our cultural practices reflect conventions and expectations that make some differences visible while obscuring others? Who and what conspires to compose these defining images and in what ways are they avoided, resisted, negotiated, and challenged? Participants will be intrigued by this mélange of film, conversation, and celebration of the differences that punctuate our community discourses. Feature length and short films (30 minutes or under) are to being accepted for showcase in the first annual 2010 different from what? Film Festival. We welcome submissions in the following categories: drama, comedy, documentary, animation or experimental. Feature length and short films (30 minutes or under) will be accepted for competition in the 2010 different from what? Film Festival Competition. We are accepting submissions in the following categories: drama, comedy, documentary, animation or experimental. For entry requirements, please download and refer to the general call, competition call, and entry form document attachments. From " Researcher invents virtual maps for visually impaired"
A new software tool creating virtual maps will help the visually impaired navigate through unfamiliar places. Visually impaired often rely on others to provide cues on navigating through their environment. The problem with this method is that it doesn't give them the tools to venture out on their own, says Orly Lahav of the School of Education and Porter School for Environmental Studies at Tel Aviv University (TAU). Lahav's new software tool is connected to an existing joystick, a 3-D haptic device, that interfaces with the user through the sense of touch. Congratulations to Javed Abidi the first person profiled in the Trang web cá cược trực tuyến www.themiracleofkangaroomothercare.com Leader Profiles section and now candidate for an international development award. It gives us immense pleasure to share with you some very exciting news. Mr. Javed Abidi, Honorary Director, NCPEDP, has been short listed for the Guardian Achievements in International Development Award 2009! The award is aimed at recognizing some of the unsung heroes of international development and to share the outstanding stories of local successes with a global audience. What is even more exciting is that Mr. Abidi has made it to the top 5 from 95 other nominations from around the world. He is the ONLY one in the top 5 from the disability sector, worldwide! The winner will now be decided through public voting which will take place between 7 - 30 September 2009. In his 17 years of work in the sector, you entrusted your faith and support in his vision, courage, conviction and integrity. It is time now to take this vision even further, time to get our story heard by the world. Please go to the following link and cast your vote. And spread the word around! Chapter 11 of the International Building Code (IBC) addresses accessible design and construction of facilities for physically disabled persons. While IBC generally defines the scoping requirements for accessibility in buildings, ICC/ANSI A117.1 provides the technical criteria that must be met in order to accomplish the required level of accessibility. This month's featured article at Madcad.com will highlights some of the changes related to accessibility in the new IBC 2009 Edition. As a result of many trips - and an ever-present camera - I have been able to capture images of design solutions from around the world. Some are explained in detail in the titles and captions in the following slideshow. Others are left for you to ponder or comment upon. The www.disability.gov website (formerly DisabilityInfo.gov) has been revamped to include social media tools and other upgrades to improve information sharing and networking on the site. Established by the U.S. Department of Labor, the website integrates information on disability policy from 22 Federal agencies. Other features of the new site include RSS feeds, a Twitter feed, a blog, and easier ways for users to obtain information and answers to questions on a range of disability-related topics. Para quem ainda n?o decidiu seu programa nesse domingo ainda é hora. Veja a reportagem em vídeo das atra? ?es com acessibilidade da Adventure Sports Fair, onde também acontecerá o Seminário Brasileiro de turismo Adaptado. La ejecutiva local del PSE ha denunciado que las obras llevadas a cabo en el parque municipal carecen de seguridad y accesibilidad. Entre las deficiencias que un técnico contratado por los socialistas ha encontrado en la ejecución del proyecto, sobresalen ?la ausencia de pasamanos a ambos lados de las escaleras y de accesos por la entrada principal a personas discapacitadas con movilidad reducida, la inaccesibilidad de los aseos y la rampa por la entrada secundaria tiene una pendiente de 9,9% cuando la nueva normativa la fija en un 8% el mínimo, además de carecer de sombras y los bancos metálicos son incómodos, inseguros y no cumplen la normativa de dise?o universal para personas con discapacidad?. Para el PSOE, ?esta obra rompe la armonía del entorno y se ha perdido la identidad de la zona a cambio de incorporar un dise?o vanguardista que en nada beneficia a un pueblo que aspira a entrar al sector del turismo rural como alternativa al fracaso que lo convenios urbanísticos han tenido en Blanca donde las empresas responsables han desaparecido y el que no está inculpado está en libertad condicional y los que compraron viviendas se han quedado sin ellas?. Por su parte, el concejal de Obras del ayuntamiento de Blanca, Antonio Box (PP), reconoció que ?la obra no está terminada definitivamente y lo que se pretende es construir una rampa para los minusválidos cuyas obras se iniciarán en los próximos días y estarán acabadas a lo largo de este mes?. Box se?aló que ?inauguramos la obra dado que nos encontrábamos en fiestas?. 5. Hereby we agreed to establish a working group to formulate a strategy and implementation plan of the declaration. Desde la Dirección General de Turismo de la Comunidad de Madrid estamos convencidos de que la accesibilidad turística ha pasado a convertirse en un factor intrínseco a la calidad turística, ya no se puede concebir un turismo de calidad, cuando éste no está al alcance de todos, el turismo de calidad debe ser accesible a todos y nadie podrá quedar al margen de éste por ninguna razón o circunstancia. Los datos no enga?an, la inversión de la pirámide de población supondrá para la actividad turística una necesidad de adaptación, por no decir un reposicionamiento estratégico. Nuestros turistas del futuro (a corto plazo), nos harán adaptarnos a nuevos ritmos y a nuevas necesidades, el relax, el descanso, el trato personalizado, el confort, la calidad y la accesibilidad serán se?as de identidad de un producto que demandará una gran parte del mercado turístico. Por lo tanto no sólo hablamos de razones sociales o normativas, sino de un reto al que el sector turístico de nuestra Comunidad debe hacer frente para mejorar su rentabilidad en un futuro muy próximo. El objetivo de este Plan permitirá identificar aquellos productos o destinos turísticos que reúnen las condiciones necesarias para ser promocionados a todos los turistas, sin excluir a aquellos con algún tipo de discapacidad, movilidad reducida o necesidades especiales, mediante la creación de un Club de Producto que vendrá a denominarse "Turismo Accesible - Turismo para Todos". Con este Plan estamos seguros que contribuiremos a incrementar el nivel de sensibilización y concienciación de los empresarios y de los destinos turísticos de nuestra Comunidad sobre la importancia de considerar el Turismo Accesible - Turismo para Todos en la planificación y gestión turística. Conocer el nivel de accesibilidad de que dispone el conjunto de la oferta turística mediante un diagnostico de la situación. Facilitar el acceso a la utilización y disfrute de los servicios turísticos a un sector de población caracterizado por su condición de desestacional y multicliente. Por todo ello os animo a que participéis en este proyecto que sin lugar a dudas contribuirá a mejorar la competitividad, rentabilidad e imagen del sector turístico de nuestra Comunidad. "Pfeiffer Nature Center will soon have an mp3 of an audio tour available. People can download the tour from its Web site, pfeiffernaturecenter.org, and listen to it on an mp3 player while they walk the trail." It already has wheelchair-accessible trails. Will there be a rise in collaboration between professional organizing services and residential design professionals? There are intriguing but unexplored Universal Design connections linking the two fields. As the partnership matures it will interact with the "new frugal" and "small is beautiful 2.0" trends to become a lifestyle trend affecting travel and hospitality. And universal design is gaining more prominence as baby boomers age. "Universal design principles can be incorporated very subtly," says Looney. "We're doing things like making the rise-and-run relationship of a staircase more gradual, or installing a wall oven with a side hinge instead of a bottom one." For the boomer market, especially, first-floor master bedrooms and laundry rooms promise to be more popular than ever. These configurations are certain to win out over single-story structures, primarily because of land costs. Moreover, the average lot size will shrink by 1,000 square feet in the next 10 years, according to NAHB research. Various factors affect the accessibility of outdoor surfaces, among them firmness, stability, smoothness, slope, and weather conditions. Surface slopes that run perpendicular to the direction of travel, often referred to as the cross slope, have been identified as a key factor in usability according to several human factor studies involving people who use manual wheelchairs. The Board has initiated further investigation into the impact of cross slope on wheelchair travel through a project undertaken by the Human Engineering Research Laboratory (HERL) at the University of Pittsburgh. Under this project, investigators reviewed existing research and surveyed people who use wheelchairs to gain insight into this issue, including the interaction of slope, surface, and weather conditions on wheelchair travel. Based on the information collected, researchers developed a protocol for a follow-on human factors study to be undertaken at HERL facilities with additional support from the Veterans Administration and Paralyzed Veterans of America. Based on the results of the Board study, the project team developed a protocol to measure the effects of cross slope using a cross sectional group of test subjects. Testing is currently underway on a range of cross slopes, running slopes, and surface conditions, including those that are smooth, irregular, and slippery. Devices developed by HERL to measure work, energy, distance-per-stroke, and pushrim forces are being used to capture data. Results of this research, including the preliminary study, will be posted on the Board's website once published. For further information, contact Lois Thibault, the Board's Research Coordinator, at thibault@access-board.gov. A wedding or conference at sea. A multi-generational family reunion. On these landmark travel occasions it?s important to have everyone booked and onboard. Leaving a loved one at home because he/she uses a wheelchair can spoil a trip for your clients and lose revenues for your agency if the entire group cancels. There are an estimated 53 million Americans with disabilities. According to an independent survey conducted by the Open Doors Organization in partnership with TIA (Travel Industry Association) and SATH (Society for Accessible Travel and Hospitality), adults with disabilities account for twenty percent of the population. A large and underserved market segment, persons with special needs want to travel. They spend $13.5 billion in travel annually and take 68 million trips a year. Special needs travel is an excellent specialty to develop to help grow your agency. Special needs travel can also boost earnings for general travel agents who understand and service this niche because persons with special needs almost always travel with others, giving you access to exponentially increased bookings. How can you tap into this ready and waiting market? The basics still apply. You have to know your products and destinations thoroughly, adding the element of accessibility. For those who sell cruises, the cruise lines are making it easier with each new ship. The industry as a whole has invested substantially in ensuring accessibility features and programs onboard. Almost every line has special needs cabins and features fleet-wide and many have taken extra steps adding pool and spa lifts. Royal Caribbean even has a lift onto the ice rink on its Freedom class ships, while Holland America Line has a tender lift system on 13 of its 14 ships to assist guests in getting ashore when the ships must anchor in the harbor of a port of call. Travelers with disabilities ask a lot of questions, so you need to be prepared to provide the answers. You?ll need to know facts about the number and location of accessible cabins on specific ships and details such as doorway widths for wheelchairs, whether or not the ship allows companion animals, the height of tables in the dining room and casino, availability of audio aides in theatres?and more. The information is readily available from the cruise lines and is often in their brochure or on their website. In fact, most lines have a designate accessibility department. Request special needs brochures from your suppliers. CLIA (Cruise Lines International Association) is an excellent resource. They have a Special Interest Guide for Wheelchair Travelers on the website (www.clia.org) detailing ship information including the number of wheelchair-accessible staterooms, number of decks with ramps, whether the elevators accommodate full-size wheelchairs and whether a traveler with a disability must be accompanied by a companion. Keep in mind that accessible travel includes accommodating persons with ?invisible? disabilities such as hearing loss, diabetes and blindness. Take time to verify what?s needed. Ask questions about travel goals and expectations as well as each person?s specific requirements. Do they require a connecting cabin for family members or companions? Does the handrail in the bathroom need to be on the right or left? Will they be able to transfer to a tender if the ship anchors off-shore, or do they need itineraries that ensure pier side docking at destinations? What type of special needs equipment do they depend on at home? 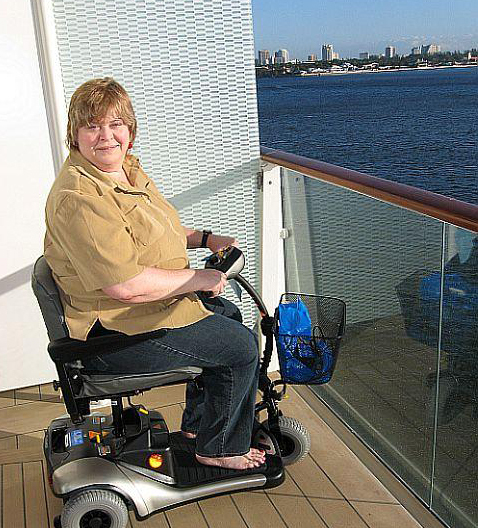 Many people who do not use wheelchairs or walkers at home often feel more comfortable with these mobility aides at sea. In fact, most of our wheelchair and scooter rentals are to cruisers who only use such aides when traveling. As ships grow larger in size, many individuals are concerned about navigating the long corridors and multiple decks as well as walking long distances on shore excursions. As with any segment you are targeting, be sure that segment is represented in the images in your brochures and mailers, and on your website. One image can send a powerful message that you?re ready?and willing?to do business with special needs travelers. And remember, a large number of persons with disabilities are children and young people. Images should reflect multiple age groups. According to the National Organization on Disability, four out of ten people with disabilities conduct business and personal activities online and spend twice the amount of time logged on than their counterparts without disabilities. People with disabilities are online researching agents, travel locations, and getting tips. Because of this, make sure your website has a separate link for special needs to demonstrate your commitment to servicing special needs clients. Create blogs that provide unique travel recommendations and tips. And look into advertising on sites aimed at travelers with special needs. Validate your interest in special needs travelers by adapting your agency or office to ensure it?s accessible. The ?talk? will seem half-hearted if you aren?t prepared to ?walk the walk? with elements such as audio-tape brochures, TDY/TDD phone capabilities and wheelchair ramps where needed. Subscribe to disability publications such as ?Emerging Horizons? and keep these visible on coffee tables or display racks. Be sure you and your staff read them. Affiliate your company with a disability organization. Companies such as SATH (Society for Accessible Travel & Hospitality) and related organizations serve as advocates and portals for accessible travel. Special Needs at Sea/Special Needs Group, Inc. (www.specialneedsatsea.com) is a one-stop resource for all the special needs equipment your customers might need, from wheelchairs and scooters to oxygen and hospital beds. We deliver directly to staterooms worldwide and are available to handle all equipment arrangements, leaving you free to do what you do best?sell travel. Our new commission structure for qualified travel agents represents another profit opportunity for your agency. You can call us to reserve the equipment your clients need. We also deliver to hotels, resorts and convention centers for pre and post cruise stays. If you?re ready, there is a large, vital pool of potential travelers waiting to be tapped. And with multi-generational travel a growing trend, there?s no need to cancel a family trip or leave anyone out because of a special need or physical limitation. 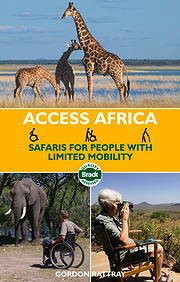 to helping persons with disabilities travel the world. The draft final guidelines will be available for review for 60 days and will be posted on the Board's website at www.access-board.gov/outdoor/. For further information, contact Bill Botten at the Board at outdoor@access-board.gov, (202) 272-0014 (v), or (202) 272-0082 (TTY). The Board intends to develop similar guidelines for outdoor developed areas controlled by non-Federal entities at a future date. 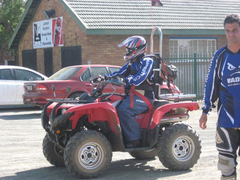 Ari Seirlis, The National Director of QASA and a quadriplegic himself will ride his adapted Yamaha 700 quad bike on this epic adventure, with him will be the former Springbok Rugby player, Andre Venter, who is now a wheelchair user as a result of a degenerating condition, will also take on this enormous challenge on his Polaris quad bike. These two brave members of the association will prove that "nothing is impossible" and with their support teams, will inspire the 400 other riders, for the 1000km of mountains, rivers, dust and dirt. Andre Venter will now face a whole new "Test" in his life, 1000km of off road terrain, unforgiving and energy sapping. His good friend and also former Springbok player Wahl Bartmann has agreed to come on board and flank Andre! Quads 4 Quads is the brainchild of the organisers Family Adventures and 6 years ago the 1st group of quad bike riders set off to prove that this journey could be done and for a cause too: Quad Bike riders for quadriplegics, hence Quads 4 Quads! Six years later, the event has raised some R3 million in total and has expanded to 400 riders, using all makes and configurations of off road bike. This is the largest such event in the world and is unique in that it is a family ride, not a race through harsh countryside, and challenging conditions over 4 days. 250km a day meaning 6 to 8 hours in the saddle. A Pick n Pay have ensured that 500 soccer balls and also school stationary sets can also be distributed into the rural communities on the way, to ensure many people benefit from this trail through the valleys of Gauteng and Kwazulu Natal. Quads 4 Quads will test the resilience of Ari Seirlis and Andre Venter who are both disabled and taking on the challenge, aswell as provide a life changing experience for 400 riders, all for a great cause..... to raise funds for those less mobile...... quadriplegics. Turismo para personas con capacidades diferentes. Programa "Desde la vida", Canal 7, Buenos Aires, Argentina.